Happy Family Literacy Day Canada! Anyone who knows me knows I love to read. Some of my earliest memories are of my mum telling me stories before I went to bed. One of the stories I loved wasn’t a book, but was a story about a little boy from Africa. I would get her to tell it over and over again. Another memory I have from childhood is listening to my Gramma read me stories. To this day, I still love listening to her read…there’s something so comforting hearing her voice tell a story. I’m so happy that I have all these awesome memories of people reading to me, telling me stories, sharing jokes! So what is Family Literacy? Family literacy refers to the many ways families develop and use literacy skills, from enjoying a storybook together at bedtime and during the day, to playing with word games, singing, writing to a relative or friend, sharing day-to-day tasks such as making a shopping list or using a recipe, and surfing the Internet for fun and interesting sites (Family Literacy in Canada: Profiles of Effective Practices, Adele Thomas, Soleil Publishing Inc., 1998). Today is the 15th Anniversary Family Literacy Day. The creators of the event are encouraging families to spend 15mins of Fun on literacy activities. So if you have kids or know some kids…take advantage and spend 15mins (or more) with them reading, or telling jokes, or playing a new board game! To look for more ideas check out the website HERE! For a child, the more time spent with a parent reading aloud increases his or her level of attachment, enhances a sense of security, and imparts the knowledge that their parent feels they are worthwhile people with whom to spend time (How to Raise a Reader, 1987). Having a parent or other caring person read aloud with their children helps children learn listening skills, vocabulary and language skills, as well as develop imagination and creativity (Family Literacy Foundation, 2001). Have some fun with Literacy Activities with your family today. Let me know what are some things you and your family did to celebrate this day! 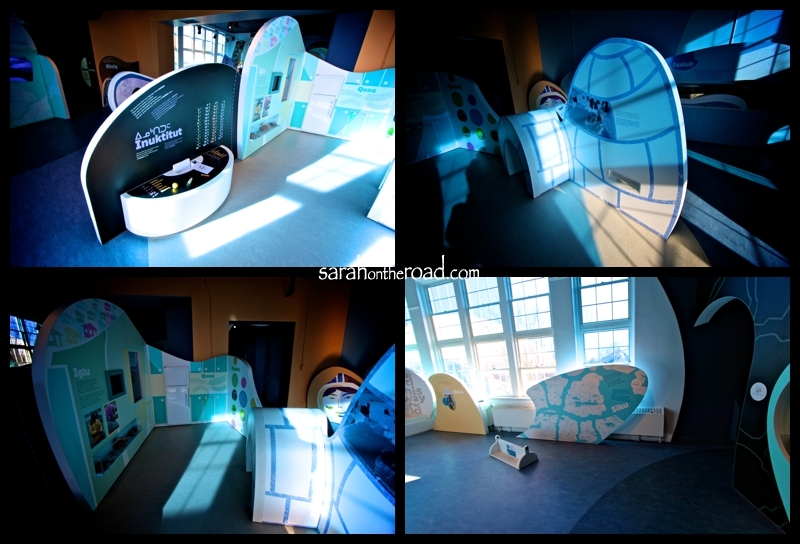 This entry was posted in Holidays on January 27, 2013 by Sarah on the Road. 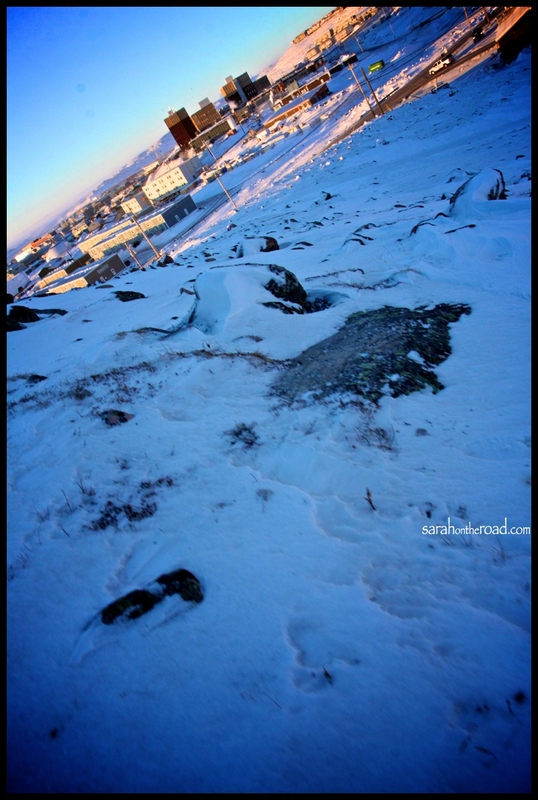 Today it was a cold but amazing day in Iqaluit. I got all bundled up this afternoon and headed over to my friend’s house. 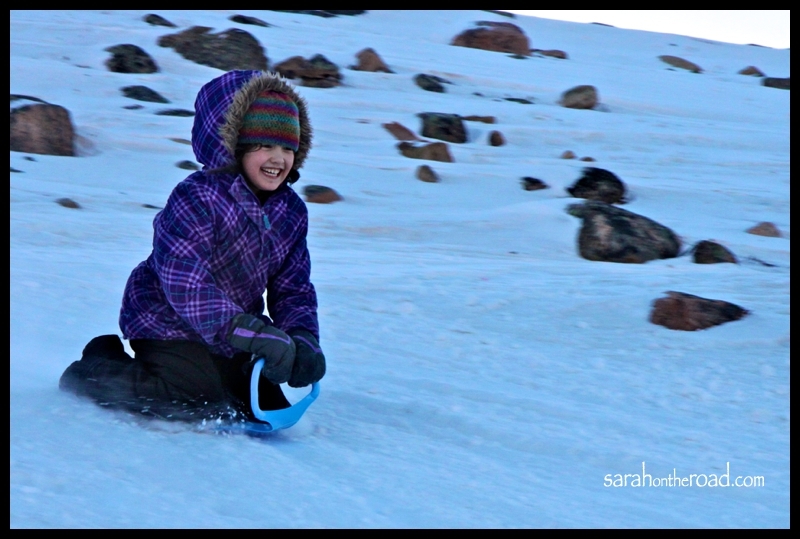 Then her 3 girls got bundled up and we all went sleddin’ on the hill near her house! 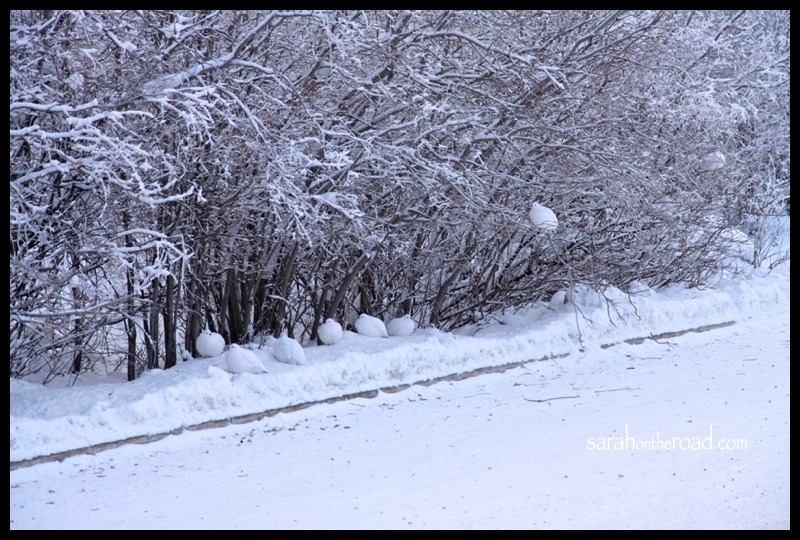 I think it was around -22C but with the wind it made it so much colder (not sure of the actual wind chill temp!). Unlike when I was in Oromocto…I had my proper boots and snow pants that made the sledding experience so much more fun! I climbed to the top of the hill to check out the sun…and the view of the harbour! …it was so cold! 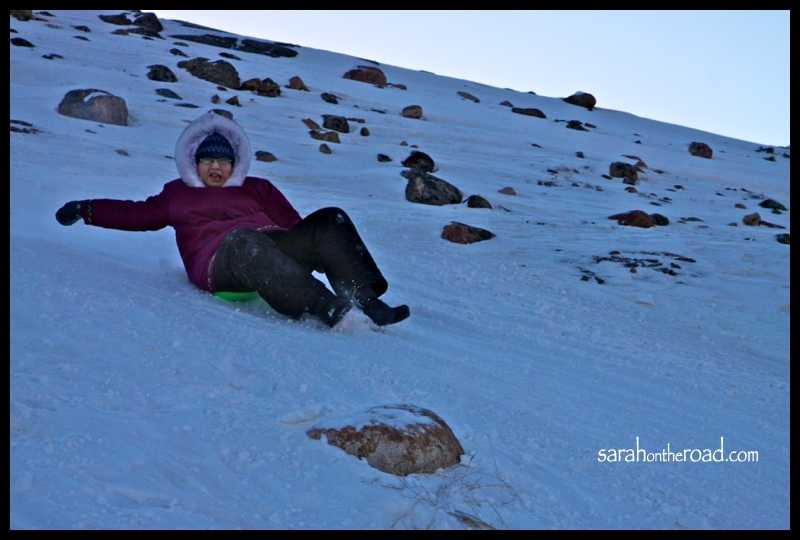 One of the girls headed back home…but the rest of continued to sled! I was excited to have my snow pants…and no other adults watching me as I giggled, and screamed as I went down the hill on my tiny sled! It was an awesome way to spend the afternoon! 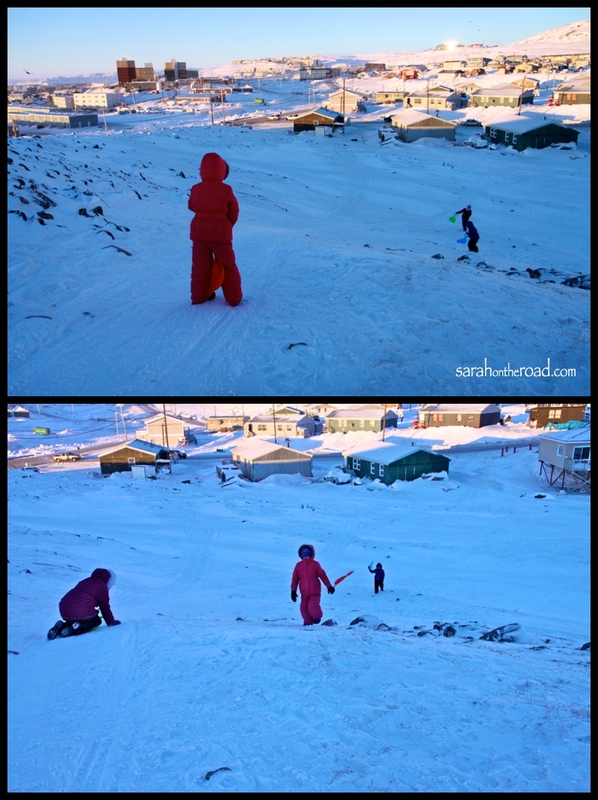 I’m so glad that Leslie and I found those sleds in Yellowknife…I can’t wait to try out mine in Pang! Thanks girls for braving the cold to go sledding with me…we will have to do it again! 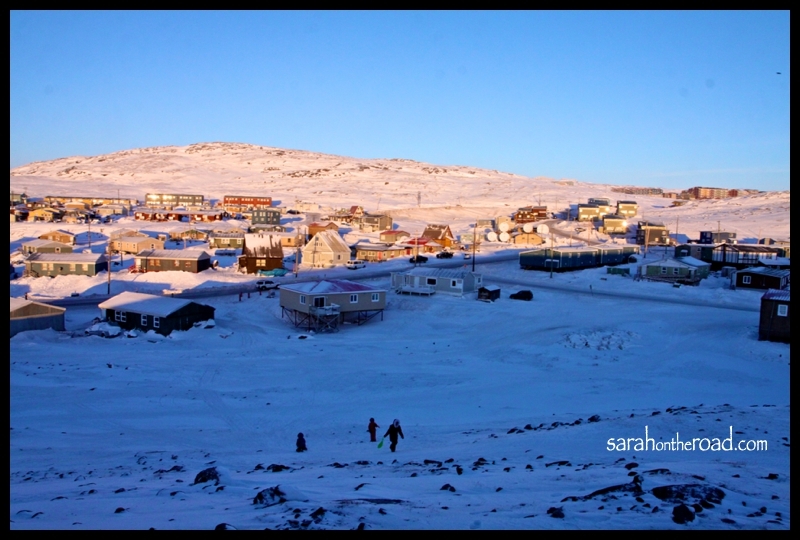 This entry was posted in Life in Nunavut and tagged Iqaluit on January 26, 2013 by Sarah on the Road. Wednesday night I headed out for dinner with a friend who has been traveling with me. 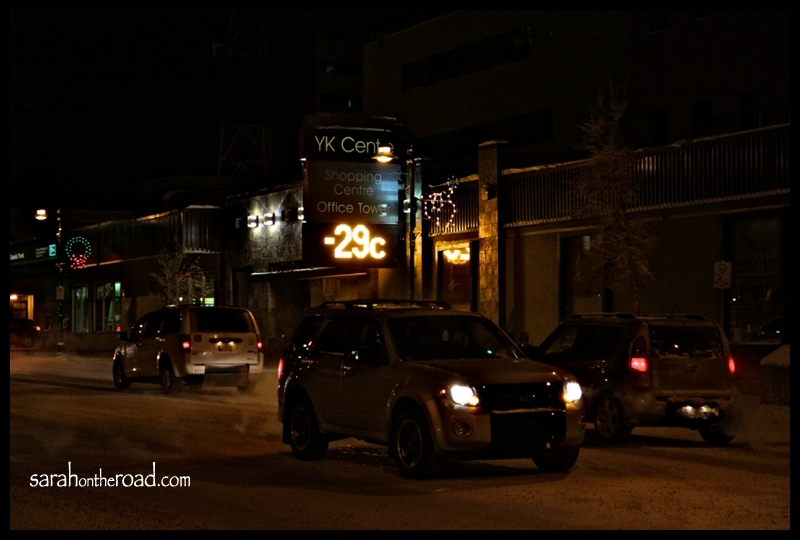 As we walked by the YK Centre we saw that it was -29C. But it felt so much colder than that…when I got back to the hotel I looked up the weather online…saw that it was indeed -29C but with the windchill it was -41C. So I suppose that’s why the 3 block walk from the hotel to the restaurant and back to the hotel again, felt so cold! I honestly hope I get to visit this awesome city sometime in the summer. 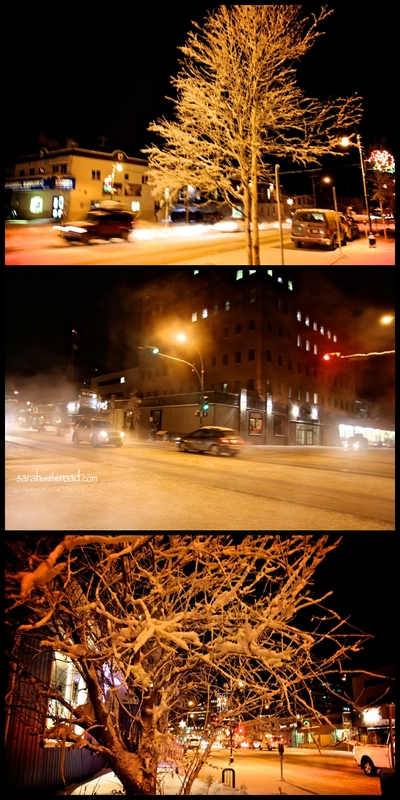 After all, this is my 2nd visit to YK...and a gal should visit every city in each season eh? Just before walking into the hotel I snapped these selfies! Have to love frost covered lashes and coats! My time in Yellowknife has flown by so fast. Thursday night I was lucky to meet up with some really good friends that moved here in the summer. It was great to have dinner, catch up with conversation and watch a 3-D movie. Thanks for the short, but awesome visit! 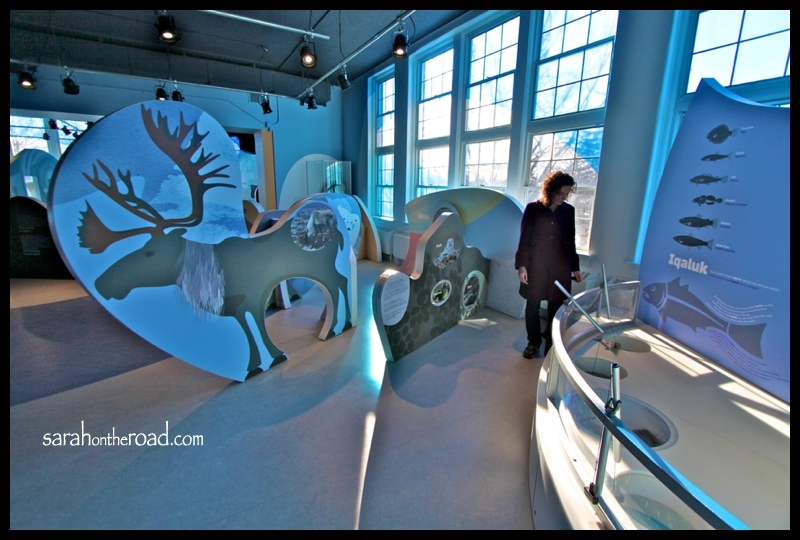 This entry was posted in Travel in Canada and tagged Northwest Territories, Yellowknife on January 25, 2013 by Sarah on the Road. 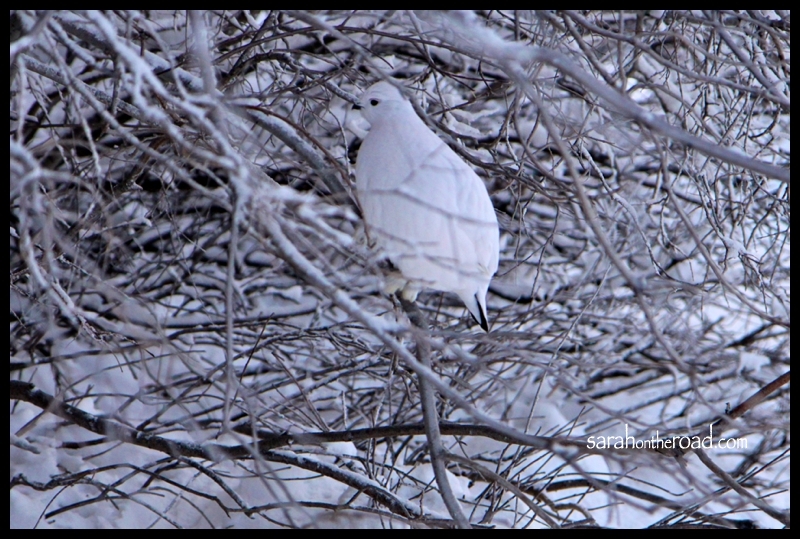 Why did the Ptarmigan hang out on the side of the road? …because it was their home? Or maybe because they had no where else to go? …or maybe it was too bloody cold to do anything else! That’s my news from Yellowknife, NWT! 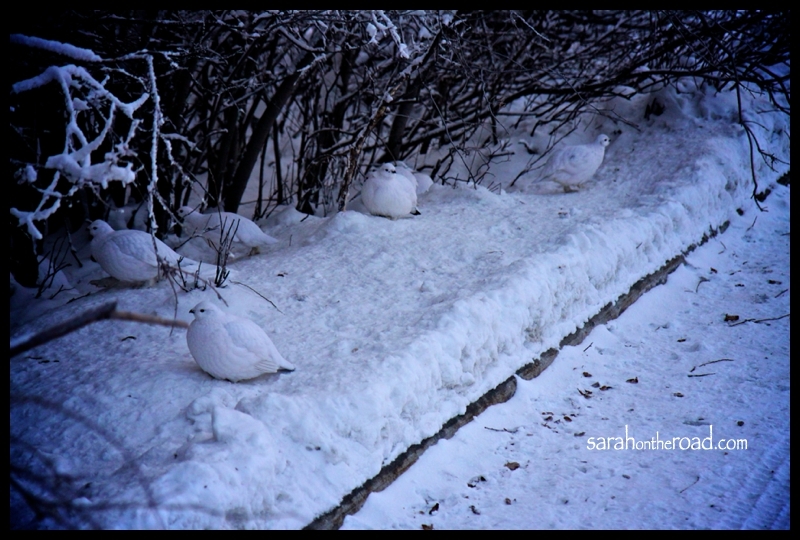 I was excited to see these Ptarmigan sitting on the side of the road the other day while I was on a driving tour of Yellowknife. 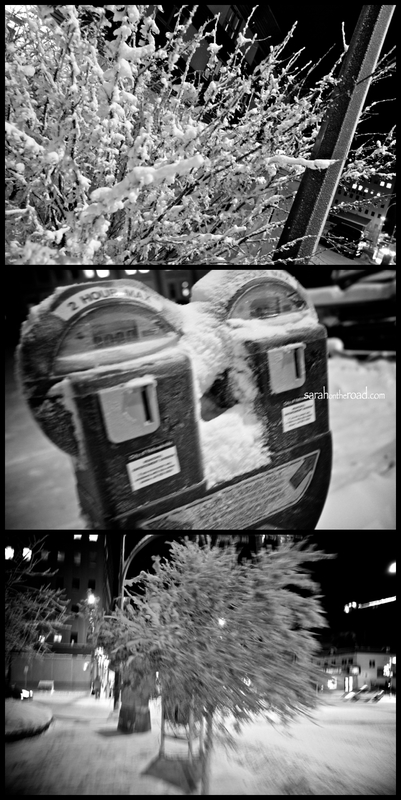 It’s been really cold all week here… the other night with the windchill it hit -50C! Thank goodness for long johns and warm parkas! 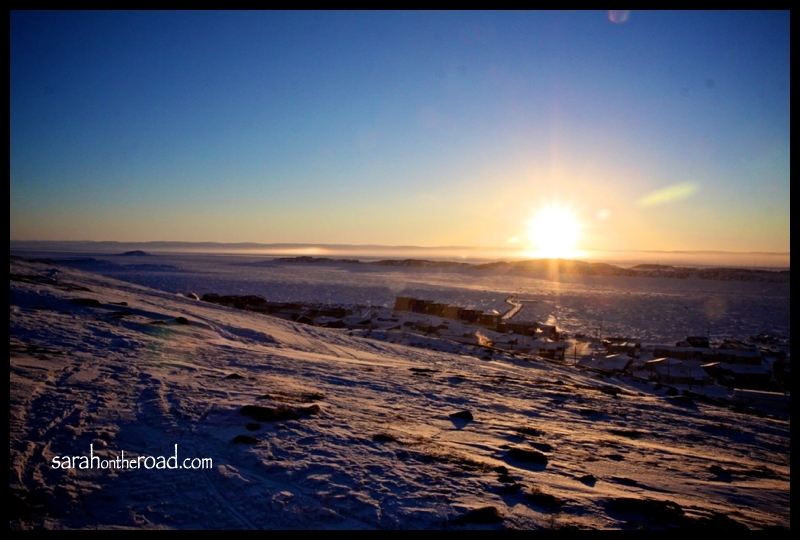 This entry was posted in Travel in Canada and tagged Northwest Territories, Yellowknife on January 23, 2013 by Sarah on the Road. 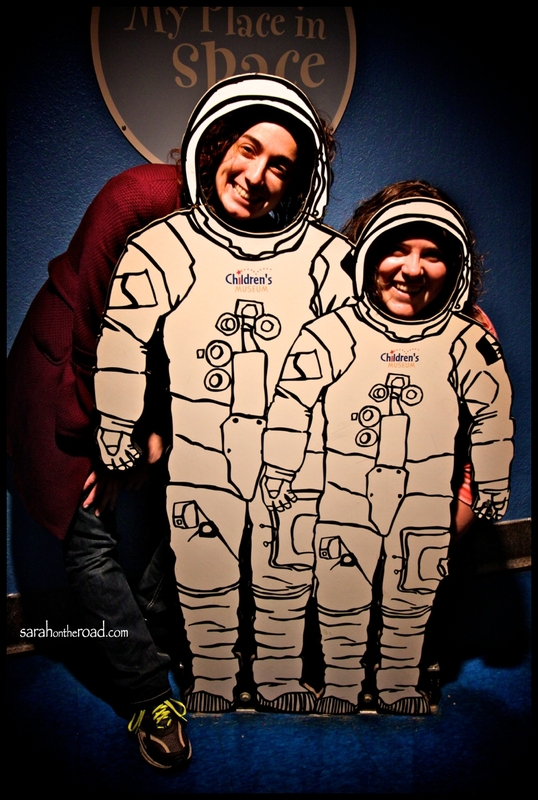 Before leaving London I did get a chance to head to the Children’s Museum. It was such a fun place to go too. I must admit I do love visiting museums. My first degree is in history so maybe that’s part of it. 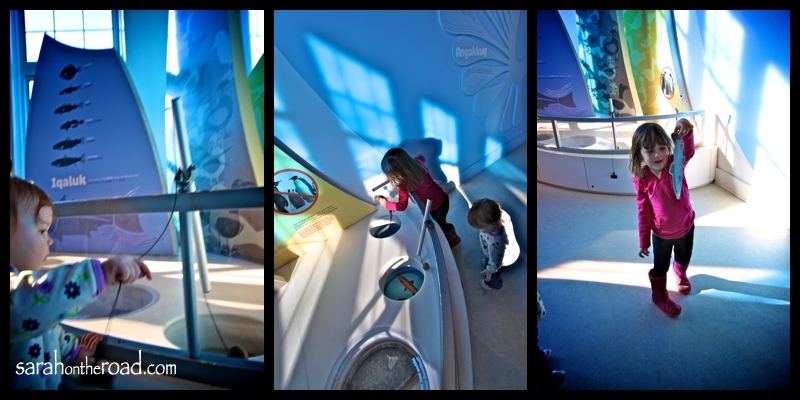 Going to children’s museums or places with inter-active displays is even more fun… I think it is my inner Early Childhood Educator that likes that part! 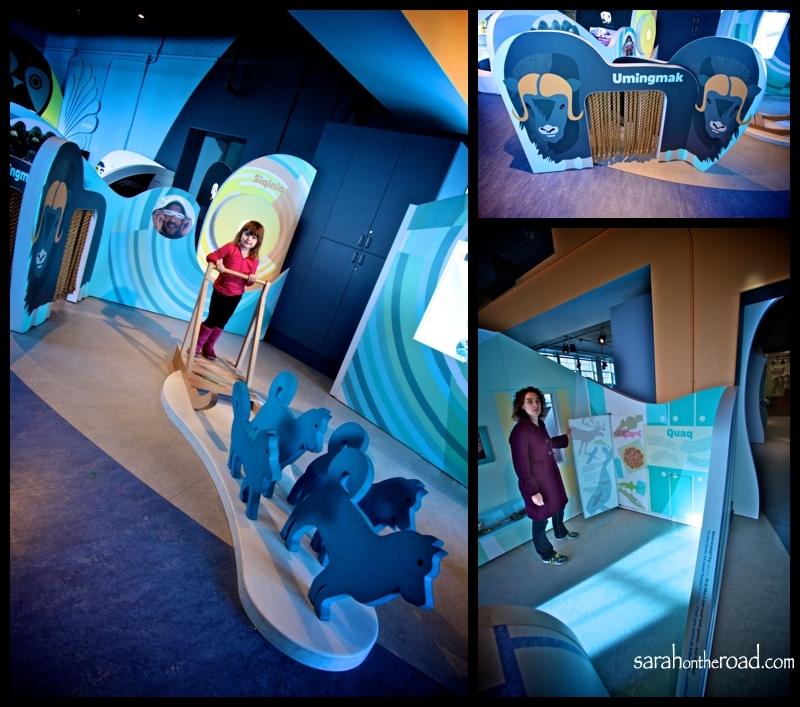 The Children’s Museum has an awesome Arctic Room exhibit for kids to go through, explore and learn things about life in Nunavut. Jen said she remembered visiting it when she was a kid…so it’s been around for a long time in different forms. I think the current exhibition was reopened in 2011! Here are some of the photos from that exhibit, Enjoy! The other ‘cool’ thing in this room was a fake seal..that you could open up and see all the insides. On the wall above the seal was the question, “How do the Inuit use each part of the seal?” then each part inside was labelled with their name..and the usefulness of that part! it was a really cool learning resource! 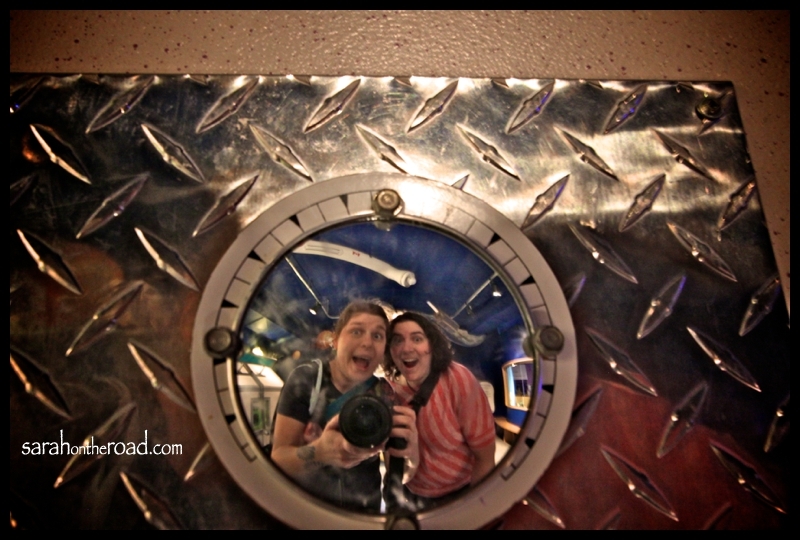 Jen showed me how to take this fun selfie in a teeny-tiny mirror! It was another fun day…and nice to see a bit of my Arctic life in southern Ontario! 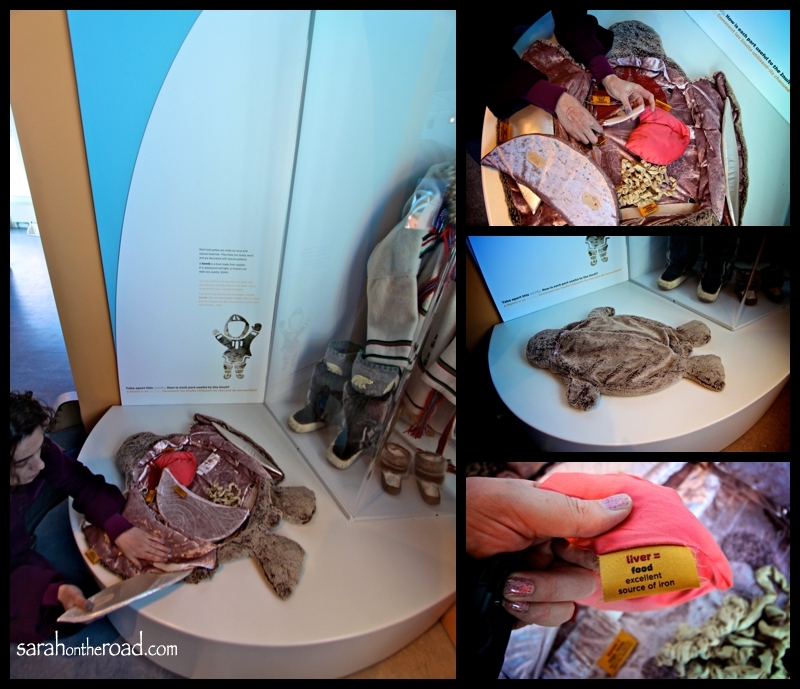 This entry was posted in Friends, Life in Nunavut, Visits to Ontario on January 21, 2013 by Sarah on the Road.